Martin was born on October 15th, 1985 and raised in Lund, Sweden, by his father, Bertil, who’s an engineer at Tetrapak, and his mother, Charlotta, a doctor. Martin started playing soccer with the bigger boys early on, and consequently he was often injured. During his recuperation days he would keep himself entertained by spending time on the family’s home computer. It wasn’t long before he wanted to upgrade the machine with a better graphics card and larger hard drive. Instead of buying him the parts, Martin’s father encouraged him to learn a valuable skill so he could pay for them himself; his father was aware that the internet was a fast-growing phenomenon and that businesses would need to market themselves online so he nudged Martin in that direction. Martin soon figured out how to build websites that ranked well on Google and then Bertil “contacted companies to ask them if they wanted a homepage with a good position”. He got a call from a headhunter about a job in London when he was 16. He didn’t know what to do so he called me and said: Dad, what should I do? I told him: they are calling you. Why don’t you do the reverse? Who do you want to work for? Martin decided who he wanted to work for and got in touch with them. Then, on his father’s suggestion, he started searching for a place to rent in Holland Park, a beautiful part of London. He called his future landlord, Martin Marston, a London-based financier, about a room he was renting and said: “I’m coming in 2 days time. Don’t rent it. 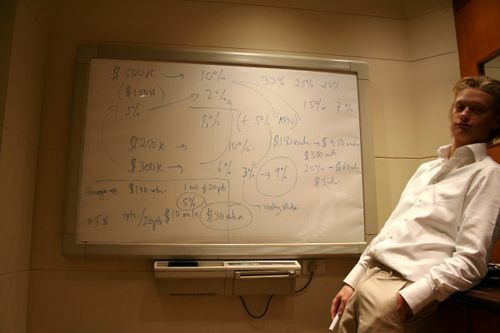 I will pay 10% more.”—even at 16, this was Martin’s way; he just contacted people and made things happen. There was no way we could find out where Martin’s traffic came from. Our servers would almost fall over. The tech guys would think something had gone wrong. When he realised I wasn’t a mod, he didn’t want to know me. Martin was always keen to make influential friends. He wanted to meet people. People wanted to be around him. He had this aura around him. This was a common theme when I spoke to people about Martin: he didn’t network in the normal way; instead, he was ruthlessly selective about who he wanted to befriend and charm. Soon enough, Dave and Martin were friends; on one occasion, Dave had just arrived at an SEO conference in San Jose and got a call from Martin at 2 AM: “Am I okay to sleep on your floor? So you can get me a free pass? Free bedroom?”—he expected a lot from his friends and in return he “was loyal – like no one else”. He was obsessed with knowing the best and most-talented people in any field and he would do anything to meet them. Fred Wilson, a New York-based venture capitalist, remembered how he “talked his way into my office” and how “he always called on me” when he was in New York. Morten Lund, one of the early investors in Skype, has similar memories and described how Martin “just showed up at our office and said he wanted to hang out and find interesting business to do”. Morten took Martin under his wing and they ended up doing lots of work together. 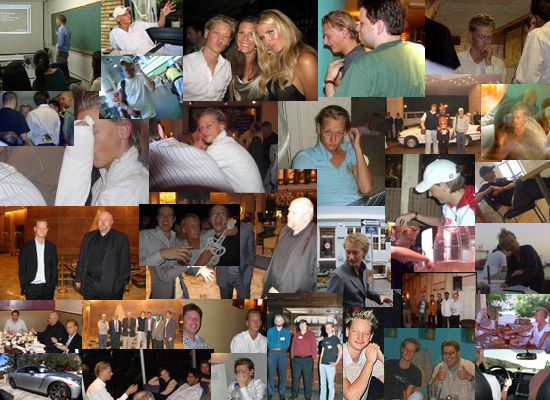 In his goodbye blog post, Morten describes how Martin “stepped into the biggest companies in the world—100% self confident”. One of the most noteworthy things about Martin was the fact that he knew people everywhere. We walked around for about an hour looking for places to eat. I finally picked the place and we sat down. In the middle of lunch, this beautiful woman who was obviously a model, came up and gave Martin a hug and asked why he hadn’t called her in a long time. They chatted/flirted like old friends for a while and she was off. At the time I was surprised at how random that was to run into someone he knew in the middle of New York City; but that was Martin - he knew everyone. One time he called from London the next from New York then from Singapore. The strange thing was that he lived with friends that he met along the way. I would have thought that he would live in hotels, but I don’t think he did. He just lived the fantasy of others. People exaggerated about him. It was never him. If people wanted to do it he would just smirk. He certainly allowed and encouraged mythology. Disjointed as his words might have read, they encapsulated ideas that pushed the limits and were unconventional. To say it was a good afterparty for the victorias secret show is certainly an understatement!! Rupert murdoch called and interupted my meeting…. Justin T called saying he wanted meeting with a tiny biz i’m involved with, would be great to have him as spokes person! How does one avoid running from a problem,when there is quarter of a million frequent flier points waiting to be used? A lot of people have a problem giving time to people. He’d be the guy to sit down and give you five or six hours of his time. He didn’t expect anything in return. He befriended people and then he made them feel important. He dealt with people of all ages. 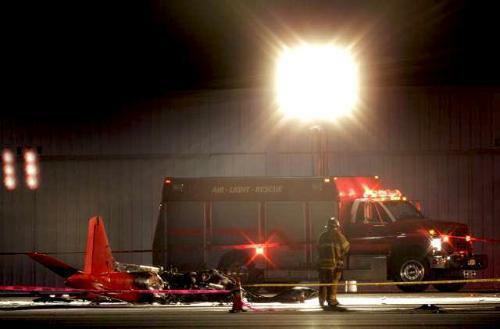 He went over to Santa Monica airport, where he planned to go for a ride in a red Italian stunt plane, with his friend, 46-year-old Paulo Emanuele, at the controls. As the single-engine Marchetti climbed during takeoff, the engine suddenly quit. The plane hit the tarmac and burst into flames. Martin was a very smart young man with a maturity, world understanding and IQ far above most folks his age. Truth be known, this international man of mystery – this teenage whiz kid – was just like so many other kids his age, trying find out where he fit in and struggling like so many of us do at the end of our college years, wondering what to do with our life. Martin, you were taken from us way too early. Rest in peace my young friend. You will be missed. My thanks to the Schaedel family, Martin Marston, Morten Lund, Calum MacLeod, Dave Naylor, Brett Tabke, Shakil Khan, Fred Wilson, Tim O’Shea, and Magnus Alexandersson for taking the time to talk to me about Martin.